I exhibited at Hodsock wedding fair (photography and video), it was without a doubt one of the best fairs I've done. Thank you EJ for making us feel welcome and I look forward attending a many more. I attended my first Buckingham's wedding fair on Sunday (having sworn off fairs for good) and am so glad I did with three consultations booked for 2019 weddings within four days! I feel I have finally found my niche and we really were so looked after on the day. I cannot recommend highly enough. I would like to say a big thank you to EJ at Buckingham’s wedding magazine for helping me find my hair and make up stylist for my wedding. EJ works really hard to help couples get everything they could want for their wedding!! Another wonderful show at Prestwold Hall this Sunday! EJ, Brian & the Buckinghams team are simply the best!! This was an amazing show with a great deal of attention to detail. A huge thank you to EJ for all your hard work. I met lots of very happy brides and looking forward to the next one! Thank you for organising a great wedding fair, it was very well promoted and probably the busiest one I’ve attended! I was happy to capture the details from the day and also exhibit alongside other quality suppliers who clearly take great pride in their work. I’ve felt supported and championed by Buckinghams since the moment I decided to exhibit, despite this being my first fair with you – and this has made all the difference. I’m looking forward to being involved with your next event! Thanks for your help for bridging the gap on the things that we couldn’t manage in the run up to and on the day itself. I wish I had found the wonderful Emma-Jane sooner!! I have received so much advice and support in planning my wedding she has been a great help. It is so nice to know that there is someone there who you can ask any question to and she knows someone in the business who can help. It is lovely to know that no matter how big or small she is always there to help, from transport to shoes. Thank you for organising such fantastic wedding fairs which inspire many brides to be, not forgetting their husbands to be. Will definitely be telling all my friends when they start planning their wedding where to turn for friendly and helpful advice. I have recently had my company branding logos, favicons, & avatars refreshed, in fact totally overhauled, by Buckinghams and I am most impressed with the service. They have provided me with a complete suite of images in hi/mid/lo resolutions, complete with Pantone colour coding and added a few other useful images for use on stationery that I had forgotten to specify. The epitome of excellent service is demonstrated by this thoughtfulness. I recommend them unreservedly. I wanted to take this opportunity to thank you for all your hard work redeveloping my brand for me over the last few weeks. Your insight and vision really helped me to see what my brand needed to say about my company and ultimately myself. I found the whole process extremely simple and the 4 logo examples you provided really did symbolise my brand perfectly, then it was just a case of picking the “right” one. I have to say, I am more than delighted that I now have the cornerstone of my brand and am happy to say that both my business cards and digital brochure that you have subsequently developed for me are amazing. The hard work and attention to detail you have in every area is obvious and I will be “Buckinghams” all the way for my brand marketing from now on. I have no hesitation in recommending you to anyone and will continue to do so at every opportunity. Buckinghams has created a wonderful piece for my website. They managed beautifully to capture the spirit of both myself and our brand. She turned what was a very average piece of written information into something fabulous; an emotive story with vision, depth and passion from start to finish. I would highly recommend EJ if you are considering a copywriter – she will help you create your written vision. Absolutely worth every penny. I have been in contact with EJ since my journey of planning my wedding began, she has been a great help she is friendly, outgoing and really genuinely wants to help you, nothing is too big or small, no matter what it is you need she will be there for you. Even if its a little chat about something non related! The wedding shows/fayres are great, full of stalls of interest, in fact I’d say better than the NEC wedding show. EJ is on hand for inspiration and ideas, she continues to help me now in my final few months. I know one thing for sure and that I have made a friend for life!! … a great show, much better than some of the other local ones I’ve been to. A really fab selection of local suppliers with some amazing talents!! Brides and those in the wedding business – If you’re a bit disillusioned by poor wedding fairs you need to get in touch with Emma-Jane at Buckinghams. Superb show today at the Hilton, Leicester. Great attention to detail, carefully selected suppliers, passionate about brides to be and the exhibitors. Such a refreshing change! Great to network with others in the business and hope to see you again at a future event. We had a fantastic time at The Buckinghams Luxury Wedding Event, which was impeccably organised, promoted and executed – we have found in the past that wedding events have been a bit lacklustre and we haven’t had the space to do what we do best, and that’s put brides in their dream dresses! 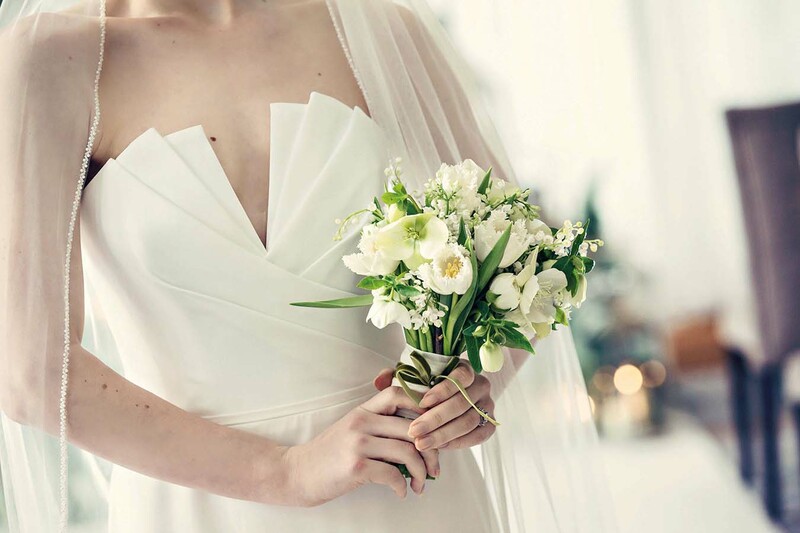 However, at this event we were able to re create the Lola Bridal experience as a pop-up shop – brides loved it, and several left with their gowns in hand! We had great day, met some amazing suppliers, who we will be recommending to our brides, and lots of brides are coming to visit us in Northampton in the coming weeks...! Belatedly, I am writing to let you know that the Wedding Fayre at Norwood Park was excellent. I enjoyed the day – good ambiance, well run, enough space to talk to customers and enough people attending to make it worthwhile. As I said on the day, for the first time ever, a couple booked me and paid their deposit. I’ve also had 2 fairly strong enquiries, so fingers crossed.